John Pinkney provides counsel to a wide range of government agencies. 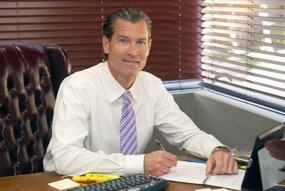 SBEMP has a full-service public agency practice in Palm Springs. Our work for public agencies covers the spectrum from advising public officials on the complex and frequently changing laws pertaining to local government, to representing public agency clients in transactions and litigation. These services include assisting clients regarding statutory compliance; Brown Act compliance; Political Reform Act compliance; Government Code 1090 compliance; Public Records Act compliance; public bidding and contracting; personnel and employment; collective bargaining; intergovernmental relations; real estate; joint powers authorities; land use and development; planning and zoning laws; elections; Proposition 218; Proposition 26; utility rate setting, and SWRCB regulatory compliance. SBEMP also frequently provides public agency officials and staff with “in-service” seminars (such as AB 1234 training and sexual harassment prevention training). SBEMP’s public contracting services include negotiation, preparation and review of contracts, required bidding documents, purchasing policies, as well as the negotiation and drafting of professional service agreements, including work by consultants. SBEMP’s legal team has developed an expertise in governmental ethics and conflict of interest laws. We are experienced with the requirements of the Brown Act, the Political Reform Act, Public Records Act, Public Bidding laws, Self-Interested Contracts (Government Code section 1090), Campaign Contribution Conflicts (Government Code section 84308), Incompatibility of Public Offices, among others. Our attorneys serve as legal counsel to public agencies on a wide variety of areas related to governmental ethics and conflicts of interest. We work with our Palm Springs public agency clients to ensure that they conduct business in an ethical and transparent manner. SBEMP’s labor practice is headed by seasoned labor and employment attorney, Vee Sotelo. Ms. Sotelo advises public agencies and private entities on day-to-day employment matters. SBEMP is also well versed on CalPERS issues, including the recent pension reform known as AB340. We also have experience drafting personnel policies and employment agreements. We represent employers in matters involving employee termination and discipline, employment discrimination, sexual harassment, wage/hour disputes, employee grievances, workplace investigations and employee safety concerns. SBEMP has an extensive practice in all aspects of local Palm Springs land use law, including environmental investigation and analysis, property acquisition, the entitlement process, impact fees, subdivision requirements, planned developments, growth management, coastal development, preparing general plans and specific plans and plan updates, and updating zoning codes to remain consistent with state laws. SBEMP is experienced in representing local Palm Springs public agencies in defending claims for negligence, intentional torts, assault and battery, false arrest, taking of property, dangerous conditions on public property, and failure to discharge mandatory duties. We also regularly advise our public agency clients regarding filings under the California Government Tort Claims Act. In the event litigation is necessary, SBEMP’s public agency attorneys are also experienced litigators with outstanding and successful track records at both the trial and appellate level. We are well versed in trial and appellate procedure at both the state and federal levels and recently won a landmark Proposition 218 victory for public agencies in Mission Springs Water District v. Verjil. SBEMP attorneys have served as amicus counsel on cases of statewide importance for the League of California Cities, the Association of California Water Agencies (ACWA) and the California State Association of Counties. SBEMP has significant experience assisting public agency clients in drafting ordinances addressing this developing area of law. We closely monitor the current marijuana legislation and case law on this issue.